I would to thank all of the staff at Bristol Street Motors Shirley for the excellent service we received when we purchased our new car. We came to Bristol Street Motors because of the poor service we received when we have purchased previous cars. Once again many thanks to one and all at Bristol Street Motors Ford Shirley. Looking for a new Ford Transit Courier for sale? If you are interested in purchasing a new Ford Transit Courier, then make a visit to Bristol Street Motors. With a transparent, helpful, and hassle free approach, when you choose to purchase from Bristol Street Motors, you choose to get a new car without stress or pressure. With helpful staff on site, excellent facilities as well as a range of pricing and finance options, you will struggle to find better Ford Transit deals elsewhere. 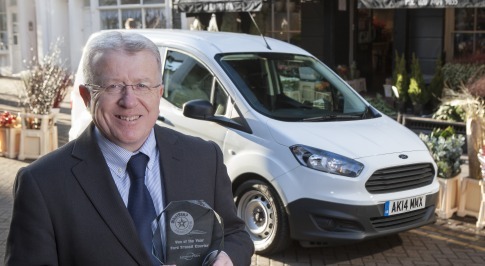 For several decades, the Ford Transit has been the biggest and best van around. However, with the Transit Courier, Ford has taken everything that makes the standard model great and repackaged it in an equally impressive smaller form. The build quality is second to none, so you can rest assured this van will stand the test of time. You will also benefit from a practical and well-thought out cabin, and handling that makes every day driving an ease. Low running costs yet punchy powertrains only add to the Ford Transit Courier�s plus points. When you come to a Bristol Street Motors dealership, our team of friendly faces will be on hand to help out in any way they can. This includes answering any questions you have about the Ford Transit Courier or our pricing and finance options, so do not hesitate to ask. But don�t just take our word for it, drop by a Bristol Street Motors dealership in your local area and see what we can do for you in person.